A team of paramedic and emergency medical technicians are known to be the street heroes as they race patients to the nearest hospital. However, as of this writing, paramedics have new roles to deal with in order to have a safe and healthy environment. They are taking a new role of promoting good health to people to keep them out from being admitted to hospitals. Paramedics are now entering the new field in health care called community paramedicine. Their role is to train people on how to respond to chronic illness attack and promote home safety. The emergency team is being sent to different areas to provide health teaching and to inspect health hazards. This is a good step made by experts that will connect health and people living in remote areas. Basically, what paramedics usually do in the area is to take and assess vital signs such as heart rate, blood pressure, glucose count, and other significant physical assessment. They also provide health procedures such as giving intravenous medications, and even performing laboratory tests. Moreover, the main goal of paramedics is to provide helpful health teachings to the community. In order to have a good outcome, paramedics also work with other health professionals such as doctors, nurses, psychologist, and dietitians. In this new health role, paramedics and other members of the emergency team, are expected to do more community outreach like visiting not just the community, but other facilities such as mental and senior care homes. This new role of paramedics not just promotes health, it also helps decrease the number of accidents, illness and occurrence of new hazards. Moreover, this new program helps hospitals that face penalties from health insurance companies from being submitted to debts caused by a patient’s longer hospital stay. 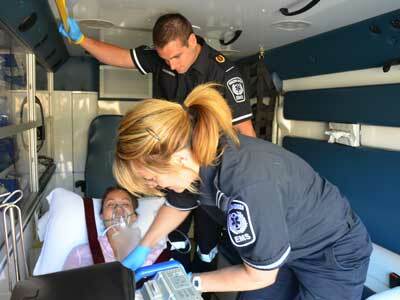 Community paramedics deployed in different areas are well-experienced and skilled medics. They know that their main goal is to promote health and focus on primary care that will keep people healthy at all times thus preventing diseases and other illnesses from getting worse. Paramedics are entirely different from a nurse. But they are healthcare professionals, who are concentrated with giving pre-hospital care such as doing first aid. But paramedics work mainly at the location of an emergency as part of an emergency first response team. Most of the time, they are working closely with an ambulance unit, or with medical technicians before a patient outside a hospital. Paramedics have working relations with a variety of medical organizations, and their services may vary depending on the company’s system. Their role has evolved over time along with the expansion of diversified practices, from providing basic health care to specialized medical assessments. Part of the evolution of paramedics are their involvement with the community. In some extreme cases, a paramedic is an essential part of a rescuing team, included as part of an aviation medical mission perhaps, where they would transport a patient through a chopper to receive medical attention from a nearby hospital. In other instances, paramedics have replaced the roles of physicians, nurses and even medical technicians in rescuing patients, such as in the event of a calamity or in giving medical assistance on critical areas. Paramedics often work hand in hand with police officers, marine doctors, army engineers, or search and rescue teams. Often times they are called tactical paramedics. 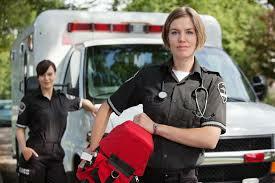 A paramedic is either employed by the emergency medical arm of a municipality or a private medical organization. They could be an attachment unit with the locale’s public ambulance system, the fire department or even a community hospital. They could even volunteer on a particular project in need of medical assistance such as doing research on remote areas or an additional group of an association. A person who wants to be a paramedic must finish either a certification or a 2-year associate degree in paramedic technology. These programs are usually available at junior college and at technical schools. Typically, states have tight specifications regarding the training of paramedics, such as the number of credit hours needed to finish the training program. The first step to choosing a paramedic school is to obtain a record of state-approved, associate’s degree and certification programs in paramedic technology. A record of accepted programs in paramedic technology can be acquired from the state in which a potential paramedic plans to work. Paramedic training degree and accreditation provide learners with a thorough background in anatomy and physiology, pre-hospital care and cardiac life support. Students should also ensure that their system of choice includes a significant healthcare component and enables graduate students to take the National Registry of Emergency Medical Technicians (NREMT) examination. The healthcare experience includes working at medical centers and for emergency vehicle services that are associated with the community universities offering the paramedic technology training. Clinical shifts are usually offered in the summer between the first and second years of registration. During the training, learners learn to deal with traumatic situations by managing their initial psychological responses to healthcare emergency situations. An obvious benefit to finishing a certification program in paramedic technology is the short amount of time to finish the degree program. Duration can range from one year to a year and a half. However, learners who finish an associate’s degree in paramedic technology have also finished all general education specifications, making it simpler to transfer to a 4-year school. Possible profession options include paramedic supervisor and administrative director and operations manager, says the U.S. Bureau of Labor Statistics. Often, a paramedic will choose to continue his or her studies and engage in a profession in nursing or another allied health area. Graduation means the end of painstaking formal education and the start of your professional career. Among the many courses offered in the school you choose is a degree in nursing. Now, you’ve probably been wondering what kind of jobs you will get with the Nursing education you got in college. As a nursing graduate you would want to have a job that is closely related to healthcare. This industry has always been stable and continuously progressing. The demand for healthcare related jobs is also rising. A career in the field of healthcare requires proper education and professional skills which a lot people don’t have. Fortunately, you got the right education and training that can qualify in this type of industry. Hospital Nurses- One of the primary workforce in hospitals are the nurses. They are the ones who assists doctors and physician in doing medical treatments to patients. Nurses are also in-charge of the patient’s recuperation when the doctors is not around. Almost every Hospitals in the world are in need of qualified nursing professionals who can provide medical skills to their institution. A hospital is the best place to build a career if you want to have a top-notch job with your nursing degree. Part of an Emergency Medical Team (EMT) – Members of an EMT are required to have healthcare related education and training. As a nursing graduate you are qualified to be a Paramedic. If you are an outgoing type of person, this type of career would be very much favorable and enjoyable to your part. Life is the most important thing on earth. It is more precious than the most expensive jewelry in the world. That is why it is very important to take care of our health in order to live longer. People want to live longer in order to experience the beauty of life more. Thus, we take good care of our health in order to get rid of all the sickness that might hinder us to live longer. However, no matter how much we take care of ourselves, accidents are always lurking in the shadows. In other words, accidents are inevitable. We do not know when it will come into our lives. Fortunately, there are dedicated people who are ready to offer their help to those people who are involved in accidents. Paramedics are literally life-savers in life-threatening situations. They are usually the first to provide emergency care to those in need. Their primary duty is to save the life of the victim. They are always available every time they are called for medical assistance and accidents. They should have fast-response and quick-thinking skills, so that the sick and injured patients may survive long enough to make it to the hospital or to a medical facility. They are very important because they are the first medical responder to an emergency situation. In fact, they are well-trained to handle a situation that can be traumatic. Their responsibility also is to transport the patient to the hospital in a safe and efficient manner. Paramedics are also important because they notify hospitals of patient’s medical condition. They are highly-trained individuals that are qualified to be dispatched by the emergency call centers when a certain accident occur. Paramedics have played a big role in our society. They are those individuals who sacrifice a lot in order to help the lives of the people. They cannot see their families often because they need to prioritize their job. They do not have time for themselves. We cannot pay back the goodness and the services that paramedics offer to us. The only thing that we can give them is our full respect, that they are our modern heroes. When selecting a job, it will be helpful to get the necessary information and details about it from individuals who have been in the profession. If you are considering a career in paramedics, there are specific things you need to know in detail so you can make an educated decision whether to take the course or not. You will find some apparent places where you will probably find a paramedic: ambulances and fire engines are the very first things that come to mind. However, paramedics tend to be more versatile than you may think. There have been 226,500 jobs readily available for EMTs and paramedics this year, based on the Bureau of Labor Statistics. 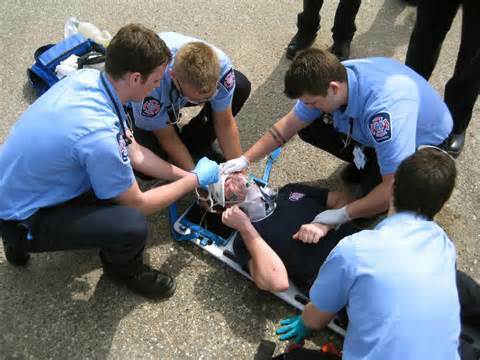 EMT and paramedic job demand is anticipated to increase 33% until 2020. This shows the potential of the career. 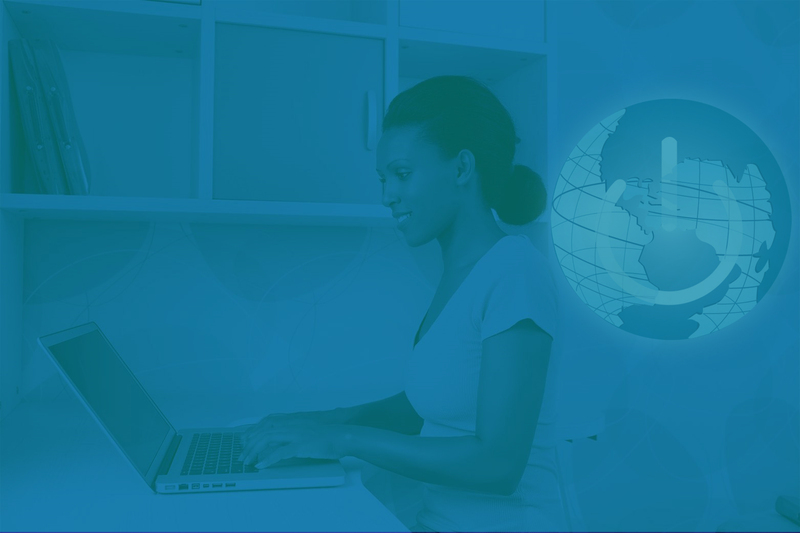 It offers good compensation especially for those who upgraded their expertise. Don’t look at the compensation first, let’s take a look at the challenges paramedics faces on a day to day basis. Like any other career profession, paramedics have difficult moments as well. They are often assigned in dangerous places or situations as well as required to work long hours. It is not easy to rescue someone, you have to be quick, accurate and mentally prepared on what to do or else you will not be able to save someone who is in a dangerous condition. If you are really considering a career in paramedics, you need to assess yourself about your willingness to work as hard as paramedics. Are you mentally tough? And will you stay long with the profession? If your answer is yes, then maybe you are destined to become a paramedic. Choose an excellent program for you which can provide you with the proper training and skill you need to become a well equipped paramedic. You constantly see the EMTs and the paramedics whether on the news or in the movie. You see them in their uniform responding to any accidents or disaster giving aid to victims. Sometimes you’ll see them in ambulances, fire trucks, hospitals or helicopters. They are assigned in areas where help is needed. Both the EMT and the paramedics work in a variety of roles and are usually the first in area of accidents, medical emergencies, and natural disasters. In the field of emergency medical services (EMS), there are different levels of accreditations for providers of care. Emergency Medical Technicians are the most typical kind of providers in all of EMS. They are the entry-level patient care provider accompanied by EMT-Intermediates and then paramedics. Both EMTs and paramedics have the skills and knowledge to move or transport patients and provide them with emergency care. The most important distinction between them is the quantity of education they receive as well as what they are permitted to do for patients. EMTs usually complete a program that may reach 120-150 hours in length. Paramedic classes may be between 1,200 to 1,800 hours. 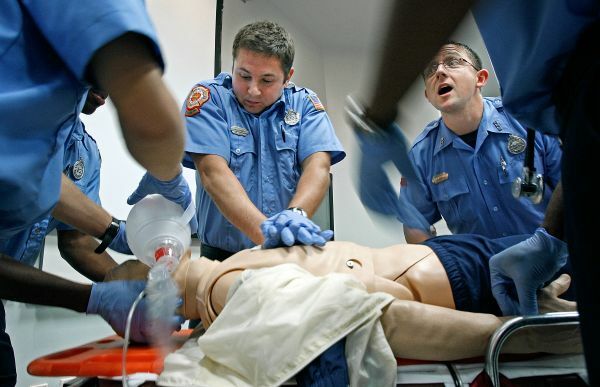 EMT and paramedic courses consist of lectures, hands-on skills training and clinical internships. EMTs are educated in several skills including CPR, assisting patient with oxygen, providing glucose for diabetics, and assisting others with treatments for asthma attacks or allergy symptoms. Paramedics are superior providers of emergency medical treatment and are highly educated in matters like anatomy and physiology, medications, cardiology, first aid and medical procedures. They expand their EMT education and learn more skills such as providing medications, starting intravenous lines, delivering advanced airway management for patients, and understanding how to resuscitate and assist patients with significant issues like heart attacks and severe injuries. Paramedics provide medical attention on ill or injured people on emergency situations. All paramedics are required in all states to get a license and get the certification in the National Registry of Emergency Medical Technicians (NREMT). Paramedics work in compensated positions or voluntary basis for emergency medical services, fire departments, police departments along with other organizations. In an accident or emergency situation, the paramedics are usually the first healthcare professionals to arrive and give preliminary treatment or medication to the patient. They are part of the senior ambulance service experts assigned to accidents and untoward incidents. 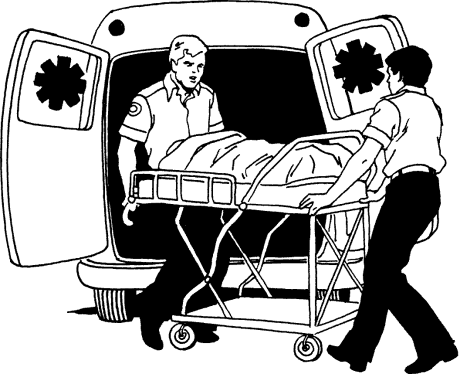 A paramedic is usually a member of an ambulance crew. The other member serves as an ambulance assistant. Paramedics face different situations and scenario each day. They constantly meet different types of patients with different conditions or located in different cities. Paramedics are emergency medical technicians (EMTs). Paramedics employed in urban centers typically work in ambulance services, hospitals and municipalities. 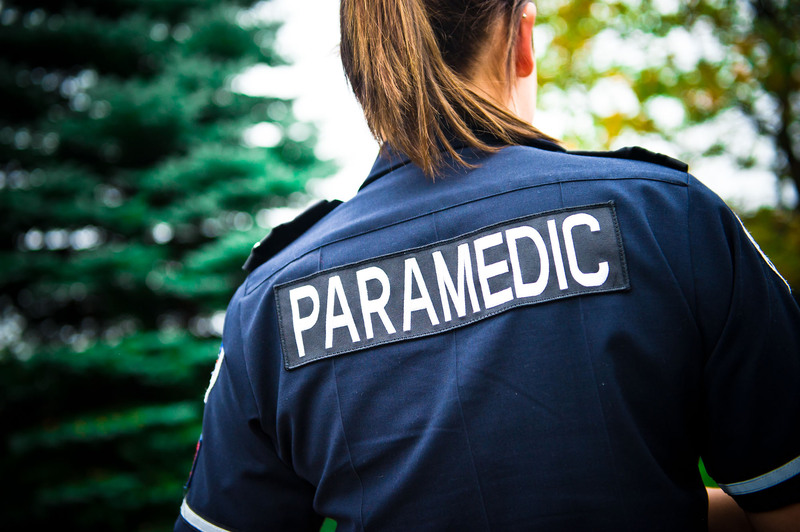 Employment possibilities are perfect for paramedics who’ve received advanced training. Advanced training can include advanced education. Paramedics may also act as managers, administrators and company directors of emergency services. Although additional training is needed, many nurses and doctors frequently begin as paramedics. Just like any other profession, the job of a paramedic comes with different challenges. However, the sense of fulfillment that comes with the job gives comfort and security despite the challenges. 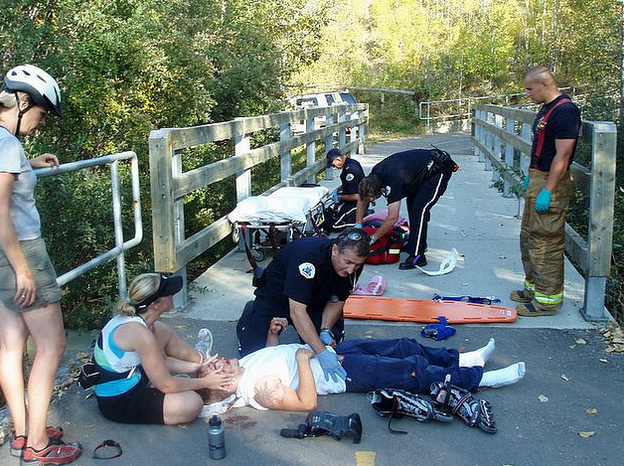 You need to prepare yourself for difficult situations if you plan to become a paramedic. You may face scenarios that you haven’t seen before, so make sure you are always prepared. Paramedic is a worthy and decent course and their presence is very important. Paramedics enjoy what they do; saving lives and giving hope to hopeless situations are their main role. 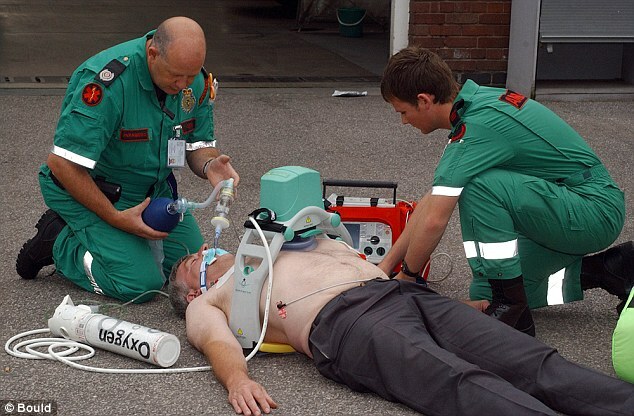 If a paramedic had a patient with discomfort in the chest area as well as other symptoms, it would allow the Paramedic to follow a Chest Pain procedure or method. This would include providing certain drugs such as Nitrates and Acetylsalicylic. They are qualified to perform these techniques since they have obtained Paramedic certification. Responsibility on the field – When paramedics are called to a dangerous scenario (for instance a building collapse, crime scene, blast, hazardous materials risk, automobile accident or natural catastrophe), a paramedic is accountable to make sure the area is safe to enter. Once that is confirmed with the dispatcher, emergency healthcare services employees should anticipate to help in collecting details and securing the place to protect all people from damage. Patient care – A paramedic’s essential liability is to reduce suffering, save life, do no damage, and encourage the equal availability of emergency health care, according to the National Association of Emergency Medical Technicians’ NAEMT code. This vow is consistent with vows that other healthcare professionals take. Paramedics also take responsibility for all activities that affect individual care. A paramedic does not hand over any responsibilities requiring his abilities to a smaller experienced individual.